Who Loves Them Some Mego? Better pics are on the way – but too excited NOT to show this off now! 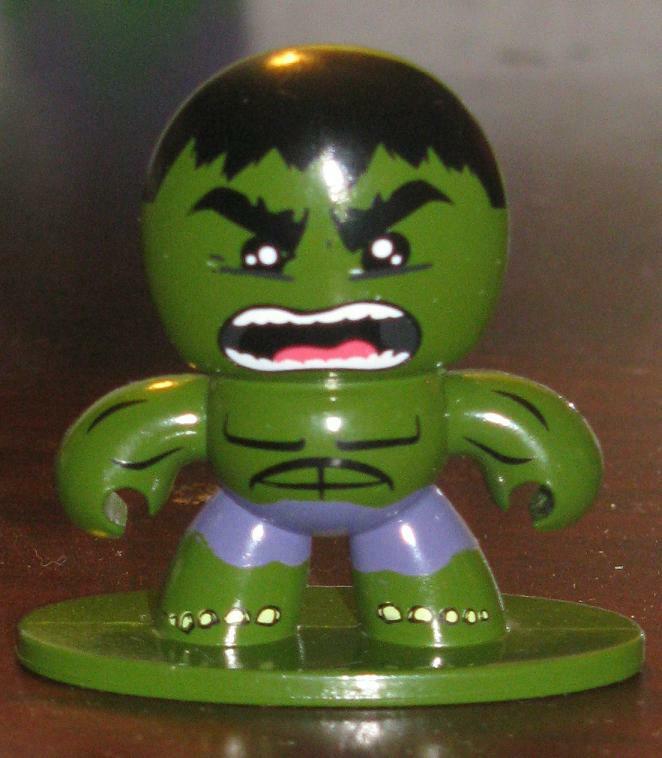 I was able to acquire the 1975 Mego carded Hulk! 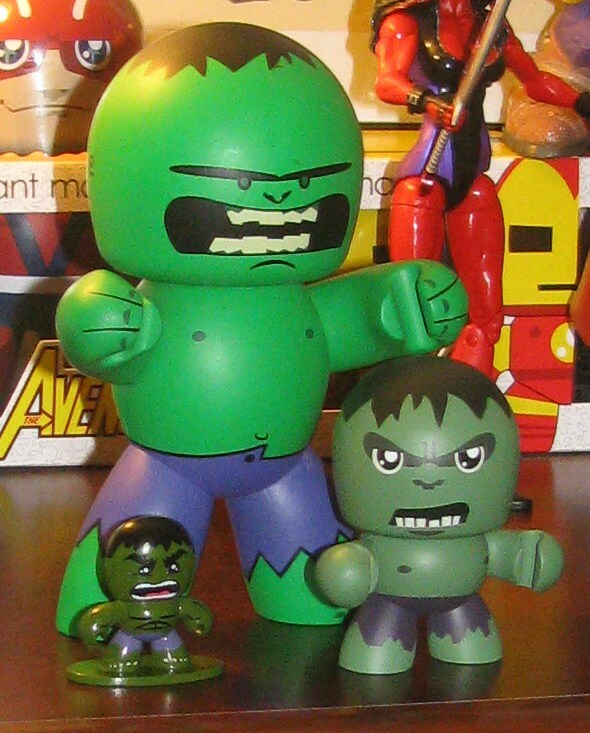 This is a very difficult carded figure to find – finally have the whole gang together! 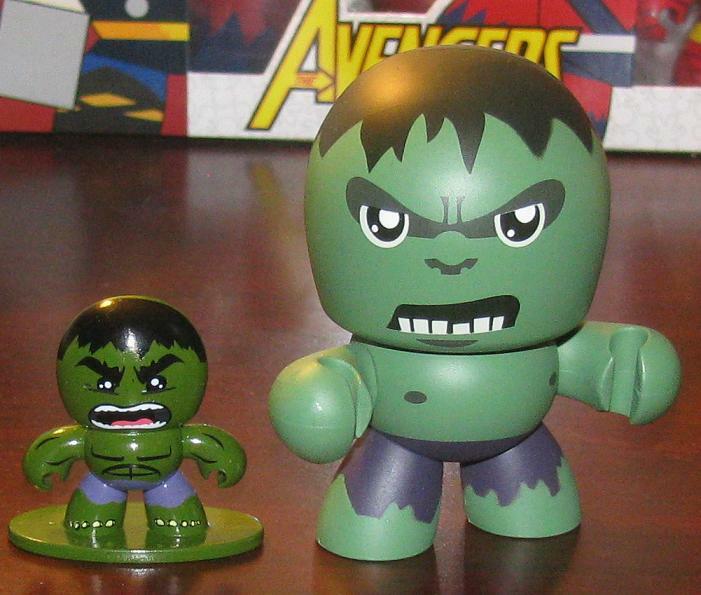 still looking for an affordable boxed 8″ Hulk and a 12″ boxed Hulk that has the “Flying Action” claim on the front. When Hasbro decided to kill the line and make the figures on a smaller scale I know a lot of collectors that were so upset they abandoned the line all together. I, for one, was willing to give the new scale a try and was pleasantly surprised that I enjoyed the new smaller scale. The moniker of MightyMuggs was now replaced by MiniMuggs but the personality of the paint applications were still pretty awesome. The only thing they couldn’t immediately settle on was the price. Oddly, the singles were $4.99 – only a dollar off of the originals which were double the size. Even more curious was the double packs were originally priced at $16.99 – which made no sense mathematically. Obviously, this was more than disparaging – it seemed like Hasbro had no faith in this line -or at least it was not satisfying their bottom line the way they wanted it to. For some reason they have not decided to drop the line though, no, instead they have released a new smaller size dubbed MicroMuggs. Are they worth getting? 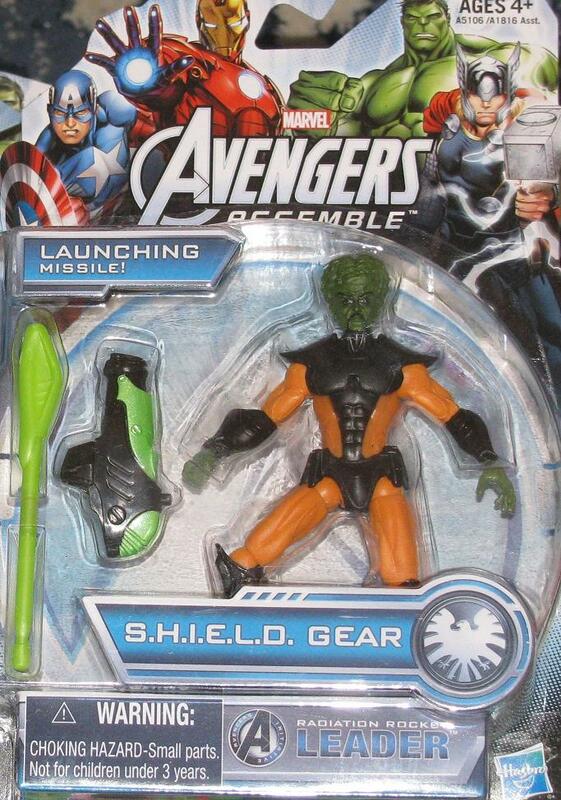 Well, a 4-pack, which is the only way they are sold, including Cap, Thor, Iron Man and Hulk, is $9.99. That means these are about $2.50 a piece (which might be a bit too high). 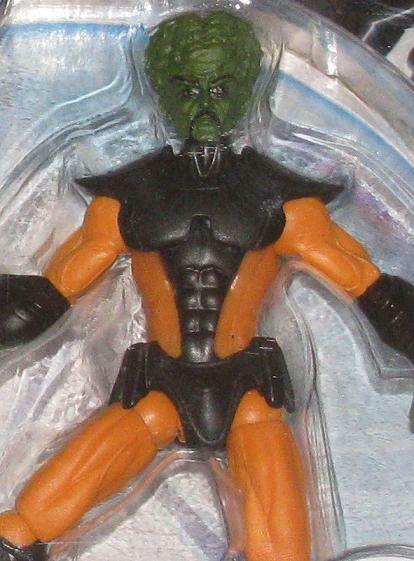 I think the biggest disappointment I have is that they got rid of the classic, unique design and made these only half a figure. 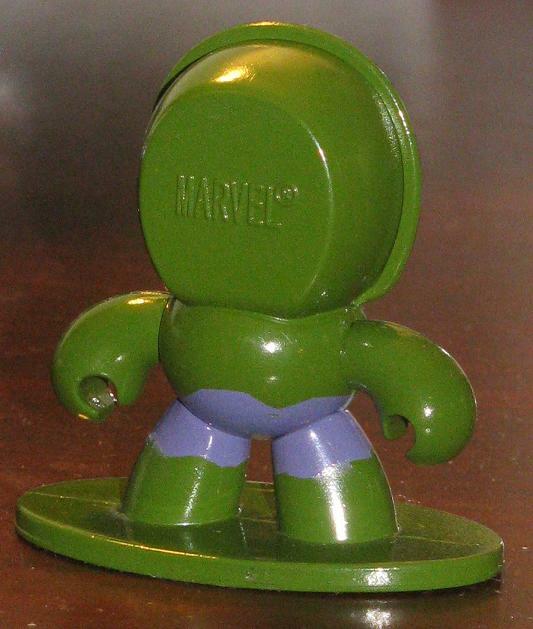 Not to mention no articulation (and I know the earlier releases didn’t have a whole lot of movable parts – but you could at least turn the head and position the arms) and they come attached to a non-removable stand. 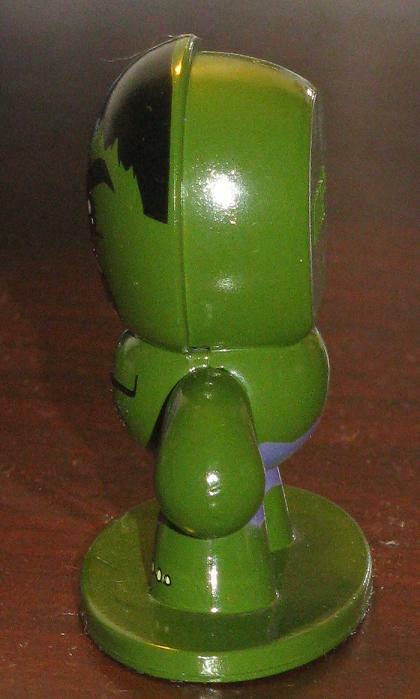 Overall, I am happy I was given this little figure for free and I didn’t have to pay to be disillusioned by the new direction of the MightyMuggs once great legacy. 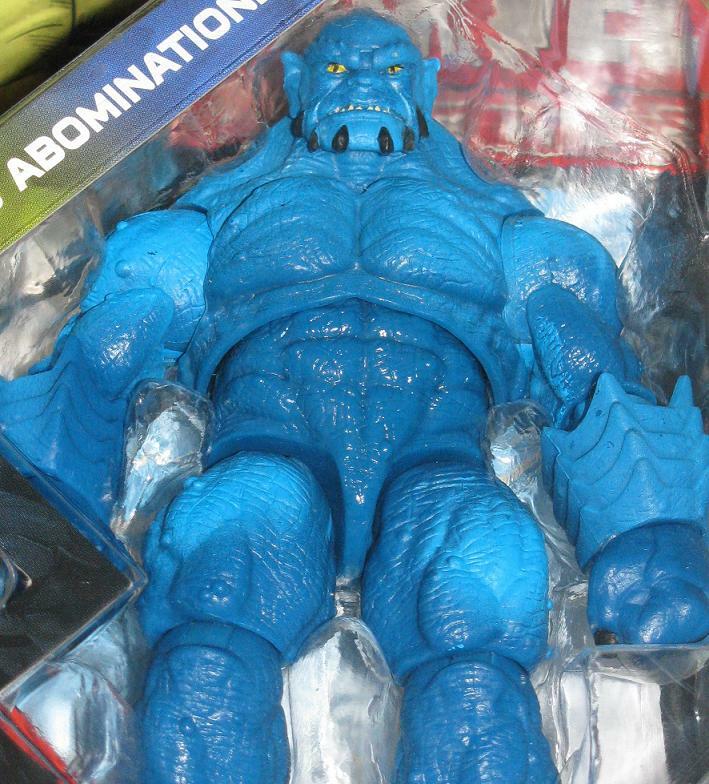 Tonight I will posting a full length review on all of the new hulk related figures I have posted – but here is a quick sneak peek at the latest acquisition. It looks pretty awesome! 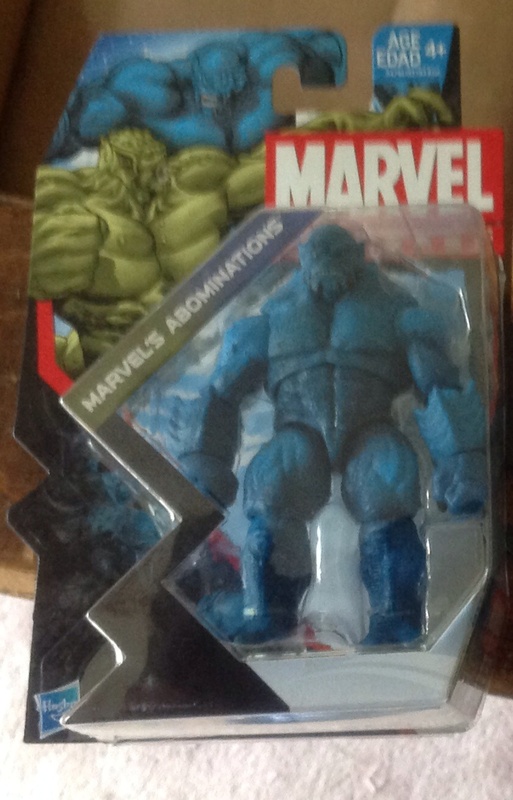 i know it’s a terrible pic – and better ones are coming – but I snagged an A-Bomb at Target this morning! 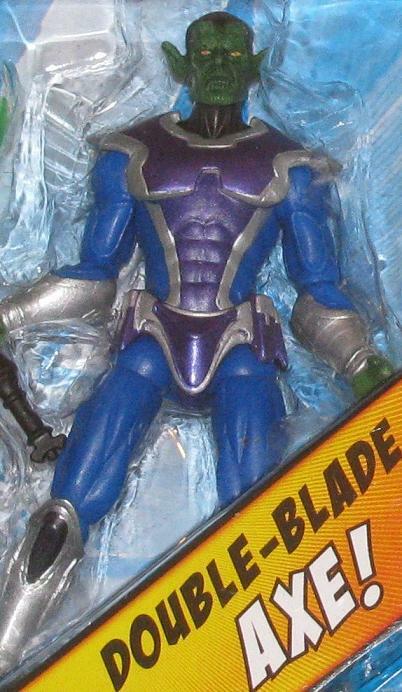 The truly amazing thing about the Marvel Universe figures is that they were coming off a historic run with Marvel Legends. Hasbro needed to make a bigger profit margin and I was disappointed with this line in the beginning but really grew to love, even look forward, to new series from this line. 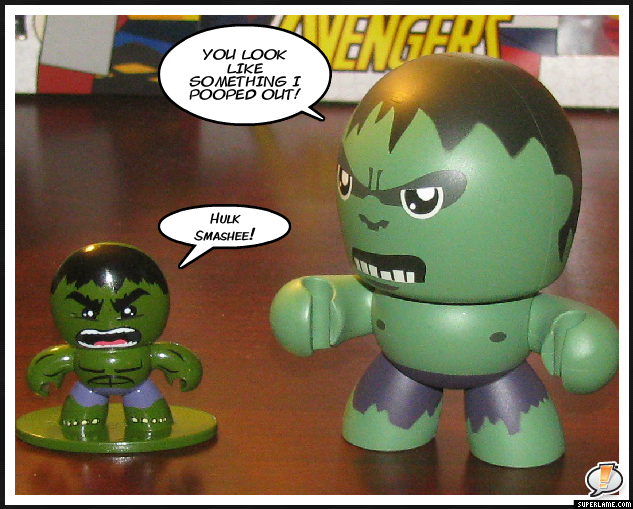 The first serving of the Hulk wasn’t fantastic – but later molds proved to be brilliant. 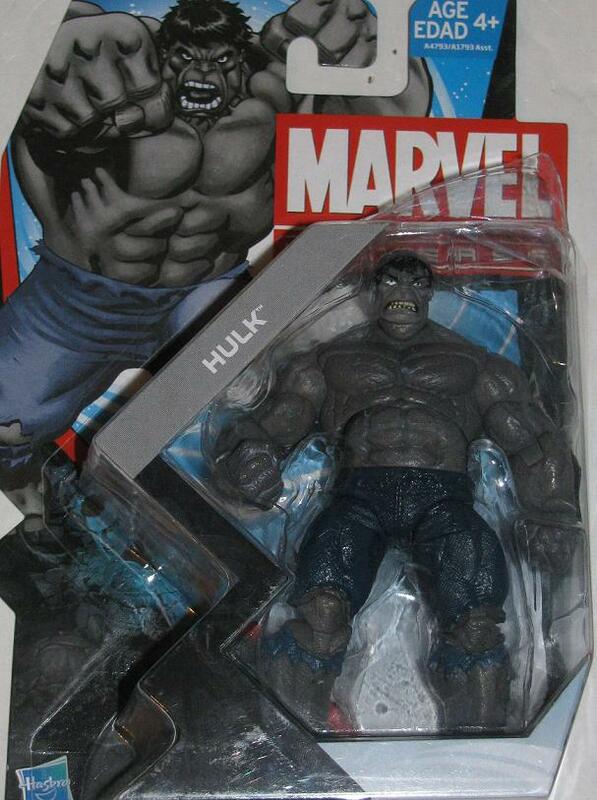 A few years ago, with the release of King Hulk, people asked for a classic Hulk in the sculpt. 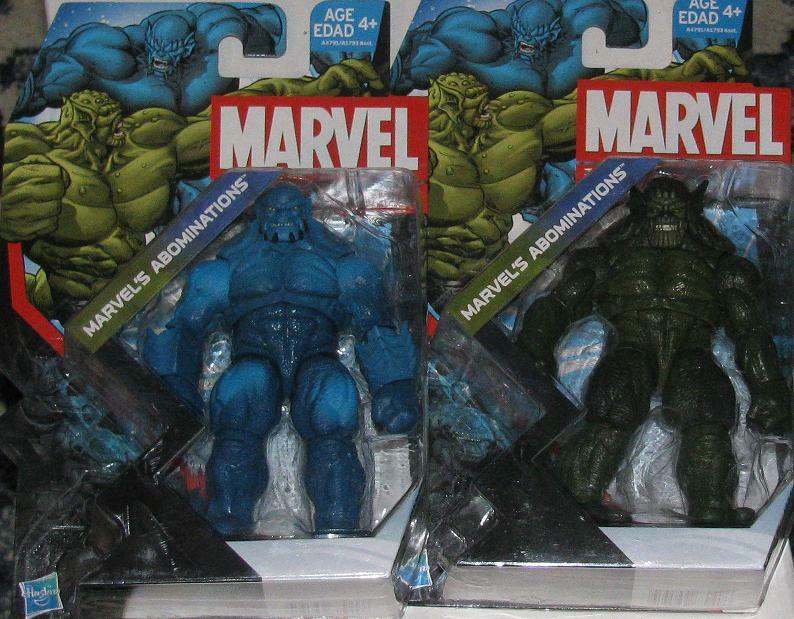 Hasbro was quick to make good on that and even served up a Red Hulk of the same in the “Heroic Age” boxed set. 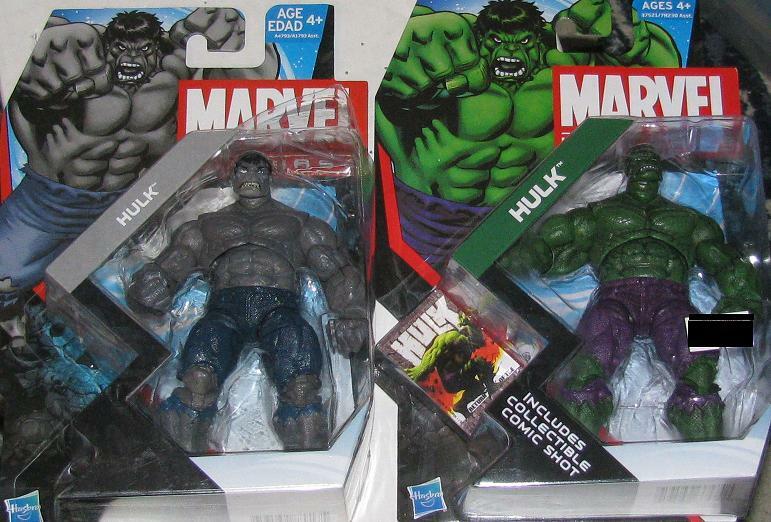 With the death of the MU line fast approaching people are certainly clamoring to get these last few figures, including the new Grey Hulk. 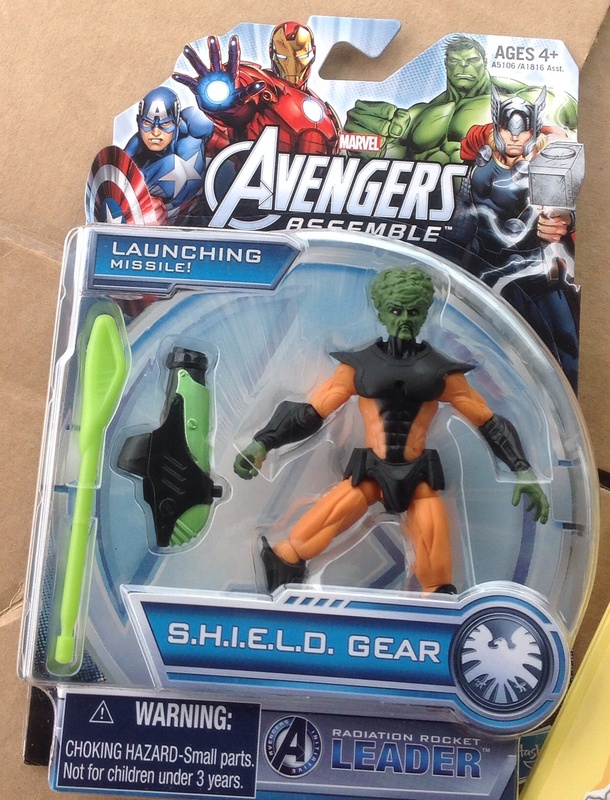 I was excited about getting this as well – only, when it arrived I realized the seller I bought from didn’t package the figures securely enough. 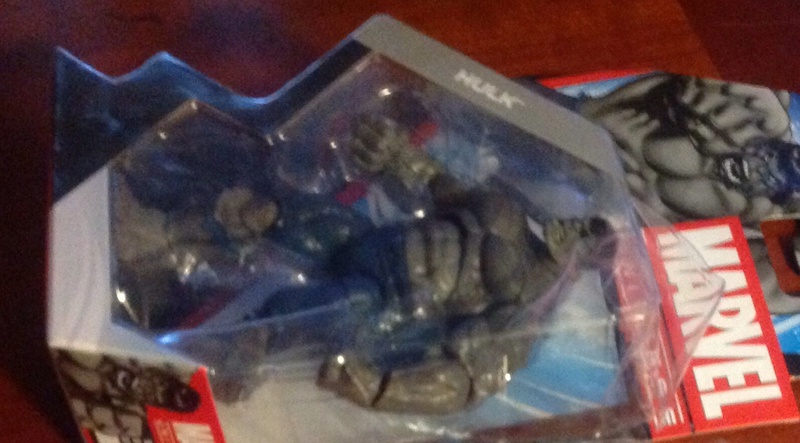 The packaging of the Grey Hulk was busted open. 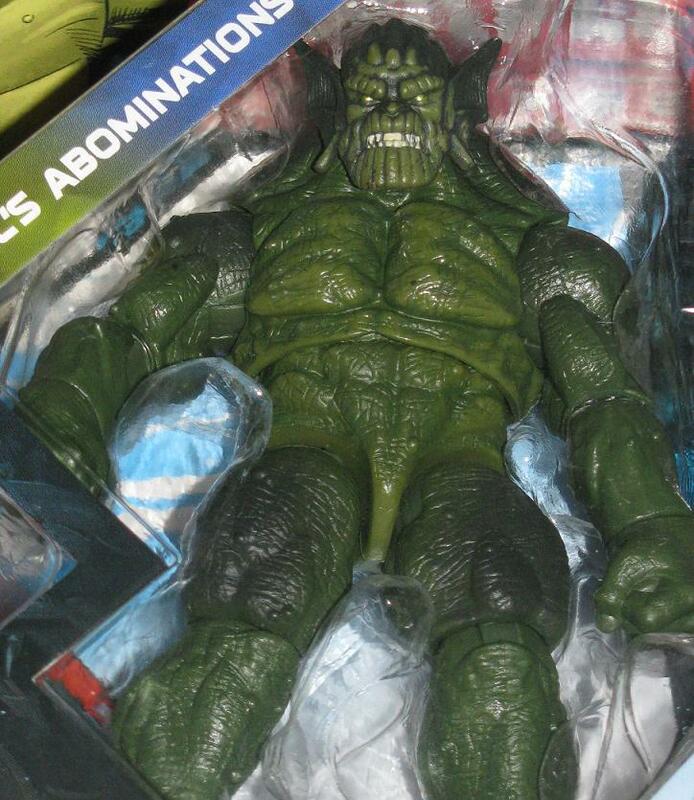 As much as a downer as that was I was also elated at how amazing the Abomination figure looks. 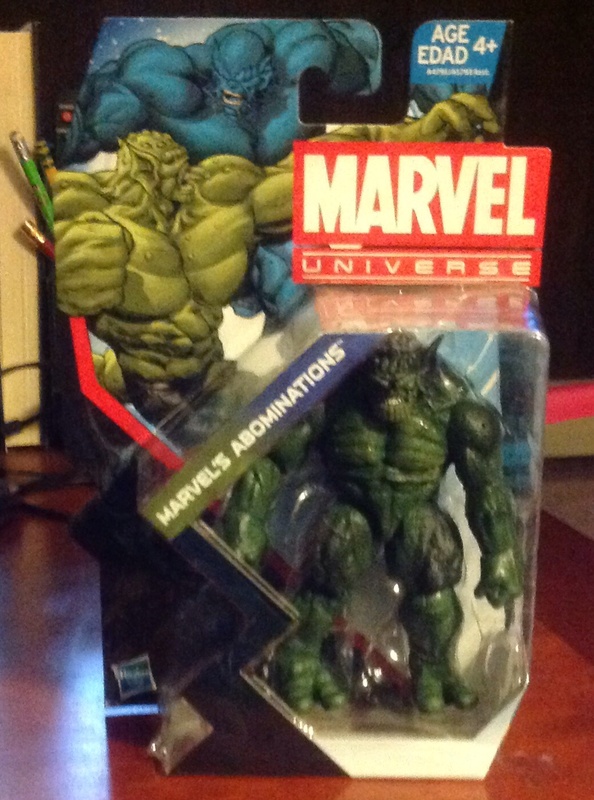 I am waiting to find the A-Bomb figure (and a new Grey Hulk) but for now I am happy to have the figures that I do. There will be plenty of time to find the missing pieces. Most of you know I have stream-lined my collection anyways, but the MU figures have made it. Better pictures are on the way.